U.S. newspaper publishers say they are mounting grassroots political campaigns in hopes that the Department of Commerce will refrain from imposing duties in January on Canadian newsprint. "Our member newspapers are very worried about countervailing and anti-dumping duty petitions regarding Canadian imports of uncoated groundwood paper, which includes newsprint used by newspapers," the New York News Publishers Association said in a letter on Friday to U.S. Senate Minority Leader Charles Schumer. Groundwood from Canada is subsidized and being dumped at below market value, according to the petitions filed by U.S. producer North Pacific Paper Co., also known as Norpac. Based in Longview in Washington State, Norpac complained to the Commerce Department in August that U.S. paper makers are being hurt by Canadian groundwood. Book pages, directory paper and other uncoated products used in commercial printing are also types of groundwood. Norpac operates only one mill in Longview, employing about 250 people, the New York News Publishers Association told Mr. Schumer, a Democrat who is the senior senator from New York. "It is hard for us to believe that our trade laws could be used in a way to put American jobs at risk to protect temporarily a few jobs located in just one community," said the association, which also sent a letter outlining its concerns to Republican Paul Ryan, the Speaker of the U.S. House of Representatives. A national group, yet to be named, representing more than 1,100 small and mid-sized newspapers across the United States warns that punitive duties on Canadian newsprint would have a devastating impact. "If Canadian imports of uncoated groundwood paper are subject to duties, prices in the whole newsprint market will be shocked and our supply chains will suffer," according to the group's Dec. 4 letter to U.S. Commerce Secretary Wilbur Ross. 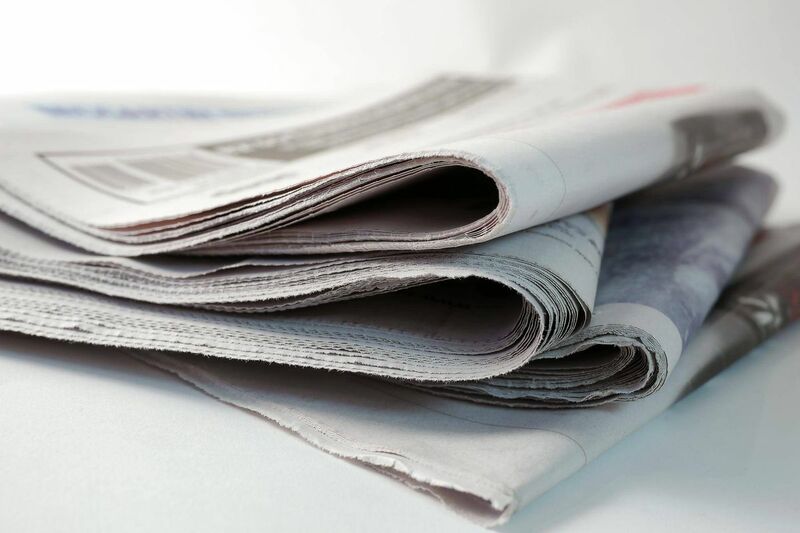 "The industry-wide shift from print newspapers to digital news consumption – not imports from Canada – has caused a decline in demand for uncoated groundwood paper." Norpac is owned by hedge fund One Rock Capital Partners LLC of New York. The group representing U.S. community newspapers argues that Norpac's complaint to the Commerce Department has triggered a process that threatens the economic health of small-town America. "Our thousands of employees and millions of readers are counting on you to protect the industry from Norpac's brazen attempt to manipulate the trade laws in a manner that would inflict widespread harm on the newspaper industry, without the support of others in the domestic paper industry," the group said in its letter to Mr. Ross. The Commerce Department is expected to issue its preliminary ruling on imposing countervailing duties on groundwood by Jan. 8 and then decide on anti-dumping duties within weeks after that first announcement. Robert Rolfe, commissioner of the Tennessee Department of Economic and Community Development, is urging the Commerce Department to take a broad perspective. "The print newspaper industry has experienced an unprecedented decline for more than a decade as readers switch to digital media," Mr. Rolfe said in his Dec. 5 letter to Mr. Ross. "Facing increased costs of newsprint across all suppliers, many small-town papers will be at risk of failing." Others jumping aboard the campaign to prevent U.S. duties on Canadian newsprint include the Ohio News Media Association, Mississippi Press Association and Georgia Press Association. "Although newspapers have successfully increased digital readership, online advertising has proven to be much less lucrative than print advertising," the Ohio News Media Association said in its Dec. 8 letter to Ohio Governor John Kasich. "During this transition to digital, many of our newspapers are operating on the slimmest of margins in an effort to continue producing the high-quality news and information content that our communities deserve." The groundwood battle comes as the Canada-U.S. softwood lumber fight lingers while Canada takes an increasingly tough approach to renegotiation talks for the North American free-trade agreement.